In this talk, Professor Karon MacLean will overview highlights chosen from of an ongoing effort to understand how to support haptic designers and end-users. These include online experimental design tools, DIY open sourced hardware and accessible means of creating, for example, expressive physical robot motions and evolve physically sensed expressive tactile languages, and major community-based studies of design practice. To accelerate design practice, we put our systems, designs and datasets online. A central and evolving piece of the larger openhaptics effort is Haptipedia, an expert-sourced, community-based browsable visualization of historical haptic inventions as a resource to future designers. 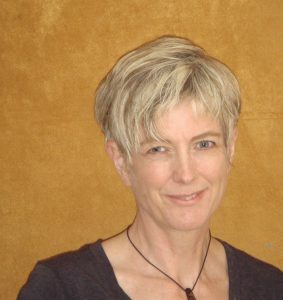 Karon MacLean is Professor in Computer Science at UBC, with degrees in Biology and Mechanical Engineering (BSc, Stanford; M.Sc. / Ph.D, MIT) and time spent as a professional robotics engineer (Center for Engineering Design, University of Utah) and haptics / interaction researcher (Interval Research, Palo Alto). At UBC since 2000, MacLean’s research specializes in haptic (touch) interaction: cognitive, sensory and affective design for people interacting with the computation we touch, emote and move with and learn from, from robots to touchscreens and the situated environment. MacLean leads UBC’s Designing for People interdisciplinary research cluster and CREATE graduate training program (20 researchers spanning 8 departments and 4 faculties – dfp.ubc.ca), and is Special Advisor, Innovation and Knowledge Mobilization to UBC’s Faculty of Science.